In this week’s episode, Jesse gets into details on neurofeedback and attention disorders with cognitive scientist and UCLA Ph.D. Dr. Andrew Hill. They discuss using neurofeedback to improve mental performance, mindfulness and executive function as well as its implications for those with attention disorders and others who are looking to get a mental edge. Dr. Hill is also an integral part of not one but two companies in the cognitive improvement space. Addiction Alternatives is a Los Angeles based facility that specializes in treating substance addicts with neurofeedback. His other venture is TruBrain, a start-up nootropics company that promotes a Piracetam-based nootropic stack intended for ongoing use. According to Hill, TruBrain is striving to distinguish itself by being a highly scientific, transparent and reliable business – giving nootropics fans an alternative to some of the more fly-by-night online pharmacy alternatives. In the field of neurofeedback and its application for autistic and clinically retarded patients, there are three main intellectual camps pitching different treatments for different symptoms, and offering conflicting rationales as to why each treatment works. Frustrated by this and wanting to figure out the nuts and bolts of why neurofeedback works, Dr. Hill has been conducting experiments and measuring the brain waves and activity in his subjects through Quantitative EEG (QEEG) feedback detection during stimulus. He is also working to determine effective implementations of his research results to “normals” – or those of us in the brain-optimization community who are looking to increase our cognitive abilities. In his extensive work and study, Dr. Hill has undertaken many long-term initiatives like… teaching a man to hold a fork (no, really) and helping children with attention disorders to focus without the use of standard medications. One distinction the doctor makes from conventional wisdom is his feeling that some diagnoses pertaining to attention disorders – ADHD being an example – aren’t necessarily disorders at all. During our primate evolution, it makes sense that some human tribe members might be more focused, while others might be constantly changing their focus, scanning the horizon for predators. It may be that certain now-“positive” aspects of attention like vigilance and sustained attention, which work well in today’s world of eight-hour work days, could even have been maladaptive to a primitive hunter-gatherer. In the late 1960’s, neurofeedback and its positive mental effects were discovered serendipitously by Barry Sterman. NASA came to Sterman saying that the astronauts were getting dizzy and sick when they were exposed to the vapors of rocket fuel, aka hydrazine. They wanted to determine what was going on and if there were any long-term effects or dangers to the astronauts. Sterman got to work exposing cats to hydrazine and examining their behavioral and health changes. Most cats began getting dizzy, nauseous and with extended or repeated exposure went into seizures or comas and died. While a bum deal for the kitties, it certainly made clear the potential dangers for astronauts. What was interesting though, is that a subset of the tested cats progressed through the stages all the way to death – except for the seizure stage, which for some reason they “skipped.” Their cat-brains were significantly more stable than their whiskered peers. Dr. Sterman realized that the cats who were resisting the seizures had been part of a previous experiment in which he tested whether he could train cats to raise a brain wave frequency for a tasty milk reward. Apparently the cat’s brain-training had yielded significant and lasting effects, which translated far beyond the parameters of the original experiment. Neurofeedback within cats had led to more stable brains, less susceptible to the “neural electrical storms” that characterize seizures. Stanford University recently published an open-source recipe on how to make brain tissue transparent by infusing it with a Hydrogel, then performing a series of chemical baths and heating-cooling cycles which wash away the lipids that create its normal opacity. By using chemical dye markers pre-selected to survive the transparency process, scientists will be able to reveal brain activation in certain structures in all manner of inter-cerebral studies. (This transparency technology is only applied after-the-fact to non-living brains, of course.) This discovery has profound implications for brain research and biological research in general, as the process can be applied to any bodily tissue. 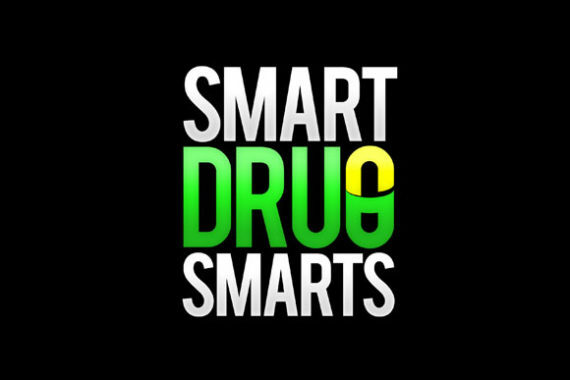 Special Deal for Smart Drug Smarts Listeners! Dr. Hill has hooked us up with a discount code for listeners who want to order TruBrain. Enter truBrainSDS (a case-sensitive code, apparently!) at the TruBrain.com website to receive 15% off. Hi Jesse, just wanted to say thanks for an awesome podcast. I have never seen so much great info in one single media channel. I an a dedicated listener and a huge fan! Keep up the good work. Many thanks from a happy (serotonin buffed) 🙂 subcriber in Denmark, Scandinavia. Thanks Jesper – Very glad you’re enjoying it. Much much more forthcoming. I am interested to know if you do work with stroke patients? In trying to help repair areas of the brain or remap areas of the brain through biofeedback that have been damaged due to strokes.